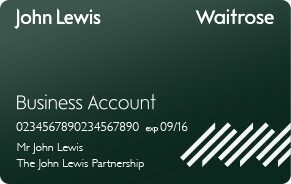 The John Lewis and Waitrose Business Account Card is a charge card created for companies, including sole traders, to make purchases at John Lewis, Waitrose and John Lewis for Business. To apply for a Business Account you will need your company contact details, registered address and company number as well as bank details. If you have applied and been accepted for your Business Account, the next step is to register for our online My Account service. For businesses and organisations buying in bulk, John Lewis for Business offers a tailored service with additional discounts.